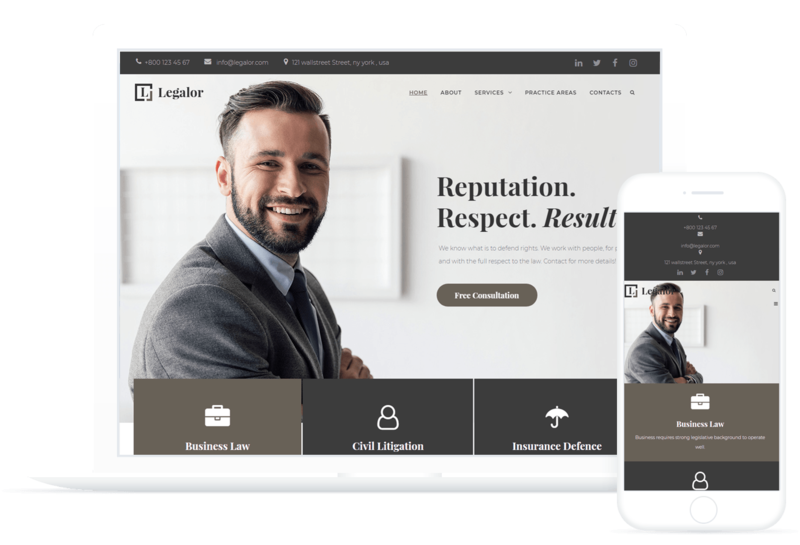 Legalor Lawyer Elementor Template looks either minimalistic, professional and elegant. It is created for lawyers, attorney, law advisers and legal officers. Classic black and white design will let you highlight the main features of your business. WordPress Template includes all the necessary functional settings to present legal services. With this Lawyer WordPress Template you will be able to showcase your lawyer firm and increase the number of visitors significantly!